Antonia’s greatest love is riding horses. So it’s no surprise that her dream is to become a successful show jumper. 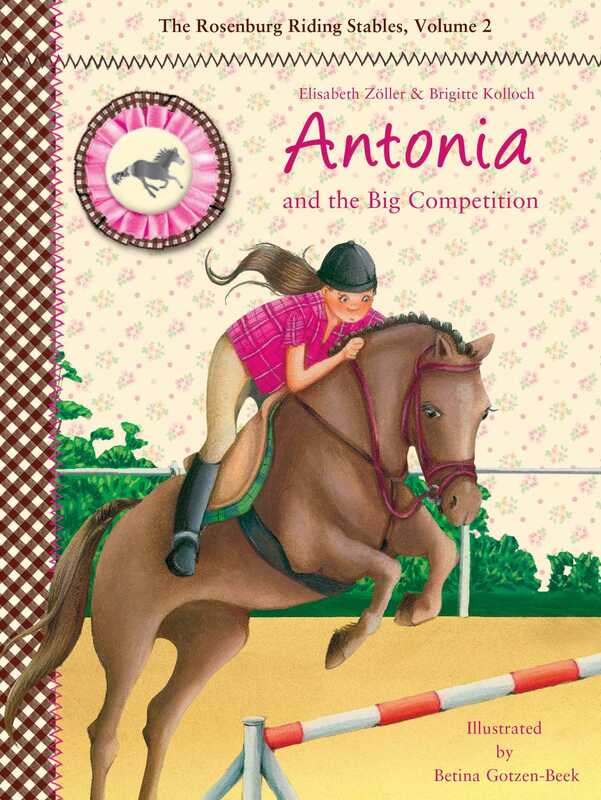 But when her riding instructor presents an opportunity for Antonia to realize her dream by entering her for a big show-jumping competition, Antonia’s courage seems to fail her. After all, not only is Antonia the youngest entrant in the competition, but Elfin Dance, the wild gelding she rides, sometimes has a mind of his own. To make matters worse, AlinaAntonia’s antagonist who never misses an opportunity to best heris entering the competition, too. Does Antonia even stand a chance? A story of perseverance told by Elisabeth Zöller and Brigitte Kolloch, featuring the colorful illustrations of Betina Gotzen-Beek, Antonia and the Big Competition encourages girls to overcome their fears and obstacles in this second book in an exciting new horse series for young readers.